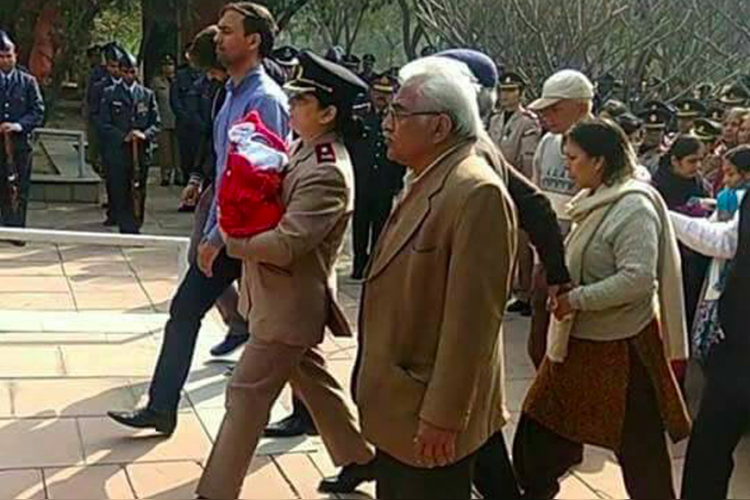 Pictures of Wing Commander D Vats, who died in IAF plane crash on February 15 in Assam, wife attending her husband's funeral holding their 5-day-old daughter is ruling the hearts of the people on social media. People cant stop praising her courage and strength. Major Kumud Dogra, who is an officer herself, and marched at her husband's funeral in full army uniform.